During his regular Thursday media briefing, Russian Foreign Ministry spokesman Andrey Nesterenko discussed the recent visit of U.S. President Obama to Moscow, among other pressing issues in Russian foreign policy. RT presents the full transcript of the address. Good afternoon, ladies and gentlemen. We’d like to share with you a review of the most topical international events of the last week. First of all I’d like to talk about the results of the first visit of the US President Barack Obama to the Russian Federation, which had just taken place. We unequivocally believe Barack Obama’s visit to Moscow from July 6 through 8 was successful in establishing a framework for Russian-American relations for the future. The U.S. President arrived in a business-like and constructive mood, demonstrating the wish and the capacity to look at problems through his opposite number’s eyes. An overview of the negotiations was voiced by the Presidents at their press-conference. Aside from the negotiations proper that took place on July 6, we held, the next day, a number of very useful and diverse meetings, embracing the entire spectrum of our bilateral relations. So, on the whole, I can say that the visit was a success, becoming, as we had hoped, an energy-charged breakthrough and a springboard for our relations hopefully for years to come. We can say we are already have a new quality of relations; at first, we managed to stop their degradation and stabilized them, while now we are taking them from the booster “reset” stretch to a trajectory of stable, long-term development on the basis of partnership and the ability not just to hear but also to understand each other. To my mind, the Presidents did hear and understand each other, something that made it possible for us to draw closer together on a number of important points. Of course, we did not solve all the problems, but some clear guidelines have been prescribed for a steady, systemic progress towards certain clearly understood goals. Of systemic importance in this sense is the establishment of a Bilateral Presidential Commission that involves a coordinating role of the Foreign policy leaders of both countries by Sergei Lavrov and Hillary Clinton. We managed to embrace all the areas of our interaction, namely, from strategic to humanitarian issues, and have a large economic component. This package approach will convey orderliness, discipline and predictability to our relations as a whole. The Action Plan endorsed by the Presidents (it is not to be published) is a guide to action for all our agencies, offering as it does some clearly defined tasks and simultaneously an efficient mechanism for monitoring their implementation. Thus, we have formulated a long-term action program. This is an important result of the summit. Besides, a package of documents – 11 all told – has been accepted on a number of priorities in cooperation. The Presidents signed the “joint understanding” on strategic offensive arms. Minister Sergei Lavrov and U.S. Under Secretary of State William Burns signed the agreement on military transit to Afghanistan. It was announced that an exchange of notes took place on the U.S. – Russia Joint Commission on POW/MIA. Chief of General Staff Nikolai Makarov and Michael Mullen signed a framework agreement on developing cooperation between the armed forces of Russia and the U.S., and a memorandum endorsing a working plan of military cooperation for 2009. The visit also saw the signing of an inter-agency agreement on public health cooperation. All these documents are equally important but I would single out the two dealing with the strategic offensive arms and the transit. The former is about combining both countries’ strategic security interests, given the combining, should not only avoid being damaged but, on the contrary, should become strengthened, while simultaneously strengthening the world security. This is a difficult task, but it is quite feasible. After all, didn’t our two countries manage to come to terms before? We have chosen to make some bold reciprocal moves on a number of key issues in the new treaty; currently the attainment of compromises has become much closer at hand. You know that we have announced SOA reductions ranges, within which we will seek some acceptable ceilings in the course of further negotiations. For the warheads, a range has been set at 1,500-1,675 units, and for the delivery vehicles, at 500-1,100 units. With such a powerful impetus to our work, we are quite capable of performing the task that was assigned to us. I mean the signing, by December, of a new, full-scale and legally binding treaty meeting the modern realities in the strategic sphere. To my mind, this is the most important result of the summit. Another breakthrough achievement is the agreement on the U.S. military transit to Afghanistan. The case in point is organizing air transit via our national territory. Barak Obama, as you must have heard, is quite pleased that we could finish preparing the document within the briefest timeframes possible. I would also single out the three presidential statements: ABM Defense, on moves of our interaction in Afghanistan, and, in particular, on cooperation in the nuclear sphere. This is a traditional area of our closest cooperation, where both countries are the recognized leaders. This is why it is of extreme importance this theme was highlighted at the summit. Where the anti-missile defense is concerned, our position remains the same: we are ready for cooperation, but the cooperation must be equal, and for this reason we expect our U.S. partners to make up their minds on the fate of their anti-missile defense in Europe. In the meantime, we are ready to continue the exchange of evaluations concerning possible missile threats that call for our joint reaction. This is what the Presidential Statement says. Finally, a totally abnormal state of affairs was mended, where our military contacts (or, more correctly, their absence) had dropped out of the general “reset” process. Now we have a cooperation plan in the military sphere. We will be thinking how to imbue it with new ideas and programs that can meet the new 21st-century challenges and threats. Thus, the summit, on the one hand, achieved a successful synthesis of the practical results that we can show to the world, while on the other, established a new, fresh atmosphere of co-creativity, one cleansed of many prejudices, in which it will be easier for us to implement the ambitious tasks we set before ourselves. And now on the G8 summit in L’Aquila. There are a number of differences about this summit. First of all, it is taking place during the ongoing global financial crisis. The central topic of the meeting would be overcoming the negative consequences of the crisis for developed and developing countries. Secondly, there is a variety of meeting formats and the number of countries that take part in them; there are about 30 of them. The Group of 8 remains the centre of world politics. A great number of invitees agree the G8 is ready to broaden partnerships with other states, including developing countries. On the first day of the summit, July 8th, which was yesterday, there was a session in the Group of 8 format looking at the problems of world economy, climate issues, contribution to development and international political problems, such as non-proliferation of weapons of mass-destruction and regional issues. The leaders exchanged their opinions on the progress of implementing decisions regarding ways of overcoming the economic and financial crisis that were made during the London summit of the Group of 20. The G8 will continue to analyze the current economic situation and work through mechanisms of economical incentives, restoring the financial system and making it stable, as well as the issues of reforming the international financial architecture, normalizing investment flows and trade, fighting protectionism and corruption. All of the G8 countries, including Russia, are unanimous in their stand that the leading developed countries should provide the necessary help for developing countries in solving problems they face, including those connected to overcoming the consequences of the global financial crisis. Some serious and far reaching proposals, which can substantially influence the world development, are discussed on the topic of climate change. There are talks about serious reduction of greenhouse gas emissions by 80% by 2050. The G8 members stand for developing a global and comprehensive agreement on climate issues. Energy efficiency, diversification of power sources and fighting energy poverty are among other important topics on the agenda. Russia intends to continue its assistance in solving all the current issues of this area. The issue of developing the new legislative frameworks of cooperation is the key element in the energy sphere. Non-proliferation of weapons of mass-destruction with the emphasis on strengthening international regimes is the central element of the political agenda. In the context of moving towards the noble goal of setting the world free from nuclear weapons, we expect a positive assessment of the decision of Russia and the US to make a new legally binding agreement to replace the current START treaty in the near future. Decisions have been made to intensify our fight against terrorism, piracy and organized crime. The issues of peacebuilding have been discussed thoroughly. Among the regional problems Iran, North Korea, Middle East Settlement, Afghanistan / Pakistan were among the priorities. Our principal position states that regional issues should be resolved by political and diplomatic methods with consideration to rigorous fulfillment of the relevant UN Security Council’s positions and resolutions. Concerning Iran, we believe it is necessary to continue involving the country in negotiations based on the six countries’ suggestions. Iran’s internal affairs must not distract the G8 from its main purpose, namely settlement of the issues regarding the Iranian nuclear program. The G8 countries have condemned North Korea’s recent actions which had threatened the region’s stability. Much attention at the summit was also given to the issues of the Middle East Settlement. The Moscow conference on this issue is challenged to play an important role in the efforts of renewing the negotiations. Regarding the situation in Afghanistan and Pakistan, the emphasis is made on the active use of the regional approach with participation of all the parties involved. This kind of approach had been recently supported by the members of the SCO summit in Yekaterinburg and had been then confirmed at the meeting of G8 Foreign Ministers in Trieste with participation of the region’s countries. On the second day of the Summit, which is today, 9th July, the meeting will take place in the format of G8 + 5 + Egypt. The meeting will consider the issues of the new sources of economic growth and results and prospects of the Heiligendamm Process. The partners intend continuing this work in the renewed form of the Heiligendamm- L’Aquila process with participation of representatives of the international organizations, namely, the UN, IMF, World bank and others. They will be discussing general approaches to enabling further development. In the afternoon the Major Economies Forum will take place on the issues of trade and climate problems. Tomorrow, during the last day of the summit, a Working Breakfast is planned for the G8 leaders and leading African states. Then the expanded format meeting will take place with participation of all the invited countries. They will discuss the ways the crisis affects developing countries, including African states, and the problems of food security. A number of joint documents is expected to be adopted following the summit. According to the tradition, during the G8 summit Russian President, Dmirty Medvedev will be holding meetings and talks with leaders of the major developed and developing countries. On June 11 the RF Ministry of Foreign Affairs made an announcement on the amendments to the law on Special Measures to Resolve the Issue of the Northern territories adopted by the Lower Chamber of the Japanese Parliament. Our attitude has not changed. We have to say our Japanese partners chose not to comply with our appeal to thoroughly analyze the situation around the bilateral negotiations on the peace agreement and to make appropriate conclusions. We consider the unfounded territorial demands on Russia to be unacceptable and to hinder the achievement of mutually acceptable decisions on conclusion of a peace agreement. In addition, these actions may hamper the contacts in the neighbouring regions of the two countries. As we know, the above mentioned amendments came in for negative feedback in Russia. The Russian Foreign Ministry takes this into account when taking diplomatic action regarding Japan. This week K. Vollebaek, OSCE High Commissioner on National Minorities had paid a business visit to Moscow. He presented his research results on education in Ukrainian in Russia and on education in Russian in Ukraine. We would like to say that the research assesses the situation as it is in both countries and does not aim at comparison. What can we say concerning his assessment of the position of the Russian language in Ukraine? On July 6 the Russian Ministry of Foreign Affairs and the Ministry of Education and Science hosted the meetings between K. Vollebaek, OSCE High Commissioner on National Minorities, with the deputies of ministers G.B. Karasin and V.N. Fridlyanov. Focus was given to the conclusions and recommendations drawn up by the office of the High Commissioner on National Minorities on the basis of the research results on education in Ukrainian in Russia and on education in Russian in Ukraine, emphasis being given to the Russian research part. We would like to say that the research assesses the situation as it is in both countries and does not aim at comparison. It is too early to discuss the research results, as this document will be finalized with the account to both Russian and Ukrainian comments. On July 7 the incumbent Commissioner left Moscow for Kiev to consult the specialized Ukrainian agencies. The Russian side highly appreciates the efforts of the High Commissioner on National Minorities office to raise the educational standards on the languages of the minorities and to strengthen interethnic relations. The hasty Ukrainian policy towards De-russification and a complete translation of the educational and information space, of judicial and administrative sphere of the country into Ukrainian leads to a further separation in Ukraine. We hope to get appropriate feedback from the Commissioner on National Minorities office on this situation. We understand the Ukrainian authorities treat our kind attitude as encouraging their actions aiming at discrimination of the Russian language and Russian-speaking residents of the country. We believe random and selective interpretation by Ukraine of international legislative standards regarding rights protection of national minorities requires the close attention of all specialized international organizations and monitoring agencies, as well as of the High Commissioner on National Minorities. The numerous messages coming from Russian compatriots in Ukraine point to systematic violations, despite the obligations undertaken by Ukraine upon joining the European Convention on Human Rights and Fundamental Freedoms and upon ratification of the Framework Convention for the Protection of National Minorities of the Council of Europe and the European Charter for Regional or Minority Languages. We believe that much is yet to be done in this area by the OSCE High Commissioner as well. As we know the UN and OSCE missions have ceased their work in Transcaucasus. I was asked to comment on the future of the Geneva Forum. Should we change its format, since the UN and OSCE used to be among the participants of the consultations, while now they are practically out of touch with the situation in Transcaucasus. I have to note the following in regards to this. Russia assumes the maintenance of firm stability in such a sensitive region as the Transcaucasus is impossible without participation of the international community. In this sense we view the Geneva discussions based on the agreements between Medvedev and Sarkozy as helpful. The six rounds of discussions that had taken place in October last year had shown that in spite of the present significant disagreements in the standing of participants, this forum may play a positive role. Under conditions of continuous tension in the area adjoining South Ossetia and Abkhazia, the Geneva Forum provides the opportunity of releasing the pressure through the exchange of information and joint discussions of commonly acceptable measures of trust and security. Naturally, the Geneva Forum’s vitality depends on direct participation of Abkhazian and Ossetian representatives in discussions. Concerning the UN and OSCE missions in Transcaucasus, I’d like to remind you that the Russian side has done its utmost to pragmatically resolve the issue of continuing their activities in the Region. We believe this is an important factor in strengthening the regional stability and security. The willingness of our partners to secure unrealistic and unacceptable political statements in their mandates was the reason for the withdrawal of this international presence. Nonetheless we are convinced that, if stability in the region and establishment of proper communication is our common goal, then there is no alternative to persistent search for mutually acceptable compromises. This approach gives the opportunity to constructively resolve all the aspects of Geneva Process, including the issues regarding its formation. I was asked to comment on the results of exercise “Caucasus-2009” that now came to a close. Comprehensive information on the scale and goals of the exercise that was designed to check the real state of combat and mobilization readiness in the South-West of Russia can be found in the messages of the press service of the Northern Caucasus military district. In terms of politics, first and foremost, I would like to point to the complete failure of Tbilisi and some other Western countries to give a provocative and an aggressive slant to the event and to depict it as preparations for attacking Georgia. Naturally, these allegations are untrue. The goal of “Caucasus-2009” is keeping up the readiness of Russian armed forces in the region, which is a deterrent ensuring stability and preventing violence. This becomes even more obvious against the background of the vindictive official position of Tbilisi and the on-going foreign assistance in restoration and stepping up the military capability of Georgian armed forces. I was also asked to comment on the fact that the European Court of Human Rights in Strasburg recognized the petition of Georgia towards Russia regarding violation of human rights of Georgian citizens to be eligible. Random arrests and massive deportation of Georgian citizens from Russia in 2006-2007 is meant. On July 3 the European Court of Human Rights took the decision that interstate petition ÃƒÂ¢Ã¢â‚¬Å¾Ã¢â‚¬â€œ13255/07 “Georgia against Russia” is eligible. This decision is now being considered in the Russian Federation. In terms of procedure this means that the Court accepted the petition for further substantial consideration. Notably, the decision on eligibility by the European Court contains its assessment from the standpoint of eligibility criteria listed in Article 33 of European Convention on Human Rights. The court decided that the Georgian petition “cannot be regarded as totally ungrounded”. Yet, at this stage the Court failed to make any specific conclusions regarding the petition due to insufficient evidence. Therefore, having taken the decision on petition eligibility, the Court is expecting evidence from both sides. Q: What is your attitude to the statement by Mark Franco, Head of European Commission’s Representative Office in Moscow, that the number of Russia-EU summits may be cut in the future? A: The effective Agreement on partnership and cooperation between Russia and the European Union in 1994 implies that Russia-EU summits shall be normally held twice a year. But we know in the experience of the European Union with third states such events may be held once, as well as twice a year, and the EU is putting forward the idea to conduct top-level meetings on a unified basis. We hope the current talks on a new basic agreement between Russia and the European Union will result in a decision, which will be in line with our strategic partnership and which will take into account institutional changes in the EU due to the fact that Lisbon agreement is expected to come into force. Another question related to it is the following: Are there any details regarding the date and the place of a regular RF-EU summit in Sweden that was announced by Tomas Bertelman, Sweden’s Ambassador in Moscow? Currently the agenda of the meeting between Russia and the European Union in the second half of 2009 is being finalized. Naturally, the criteria of the regular RF-EU summit will be defined. As we know, on June 25 the EU Council adopted a new visa code, under which the cost of a Shengen visa will be 60 euros and the time of visa claims processing will increase. Will these changes impact Russian citizens? Issuance of Shengen visas to Russian citizens is regulated by the Russia-EU Visa Simplifying Agreement, which came into effect on June 1, 2007. According to this international agreement, the visa fees are to be set jointly in the amount of 35 euros, the visa issuance is to take 10 calendar days after the petition and other documents are submitted. In some exceptional cases the decision-making on visa issuance may be extended to 30 working days. In urgent cases, it shall take 3 working days, the fee being 70 euros. Therefore, as now there is an international agreement between the Russian Federation and the European Community regulating visa interaction, there seems to be no legal basis for revision of Shengen visas issuance to Russian citizens by the Europeans after the new visa code becomes effective. We proceed from the fact that these novelties do not concern the Russian Federation. Q: What are the key results of the 18th annual session of the OSCE PA which had concluded on 3rd July in Vilnius? A: This session was dedicated to ‘the OSCE facing the new security challenges’. Discussions took place in three general committees and at plenary sessions, upon the results of which the Vilnius Declaration and 25 additional resolutions were adopted. The resolutions covered a wide range of issues, including arms control, light and small weapon, energy security, food crisis, climate changes, labour migrations, observation in elections, OSCE reforms, death penalty moratorium, the situation in Afghanistan and even prosecution of journalists and diplomatic personnel in Iran. Our ministry has been carefully studying the documents adopted at the OSCE PA session in Vilnius. In general the same regards the OSCE political traditions which reflect the broadest specter of opinions on the abovementioned issues. Obviously not all of their standings match our official position and the viewpoint of the Russian OSCE PA members. In particular, this regards the resolution called ‘Reunion of divided Europe: encouragement of the human rights and civil liberties in the OSCE region in the 21st century’. The Russian Foreign Ministry shares assessment expressed in relation to this document in the joint statement of the Federation Council and the State Duma Council of the Russian Federal Assembly on 7th July. We believe the fact that the OSCE PA resolution makes an attempt of distorting the history for political reasons is unacceptable. This does not help the atmosphere of trust and cooperation between the member states of this organization. The OSCE PA is the independent structure acting within the system of this organization. The Russian Federal Assembly is represented in it by the delegation of 5 Federation Council members and 10 State Duma deputies. Unlike the decisions of the OSCE policy-making agencies, the PA resolutions are adopted not by consensus but by majority of votes and as such do not reflect the consolidated viewpoint of all its participants. Also they don’t have a binding force, neither for the OSCE members nor for the OSCE as the international organization. Q: It’s been stated that Russia may be deprived of the right to vote at the PA of the Council of Europe. Is it true, and if so, is Russia planning to leave PACE altogether? This was the question. I can give you the answer as the representative of the executive power and not of the Russian delegation at the PA of the Council of Europe. Upon conclusion of the 60th PACE’s summer session on 22-26 June in Strasburg the information came up that some deputies of the Assembly were collecting signatures for the draft resolution on depriving the Russian Federal Assembly’s delegation of the right to vote at the PACE’s autumn session on 28th September-2nd October this year. We don’t know what complaints would be made against our country to justify this suggestion. While refraining from substantial comments on the right of deputies to consider any issues within the competence of the Strasburg Assembly, at the same time I’d like to express my perplexity at the fact how easily the PACE deputies have been numerously raising this issue of depriving delegations from such countries as Armenia, Ukraine and Russia, of their rights during the recent years. You would agree this is not a serious approach. In our opinion, depriving delegations of their rights is not the kind of instrument that should be used every time the Assembly deputies cannot agree on particular acute issues. The agenda of the Committee of Ministers of the Council of Europe and of the Congress of Local and Regional Authorities of the Council of Europe is not less acute and complicated than that of the PACE. However those agencies don’t swish the rod threatening to deprive of the right to vote. On the contrary they hold thorough consultations and negotiations with the purpose of reaching a consensus on every issue. This is one of the main tasks of any international organization, including the Council of Europe and its agencies, namely, to strengthen mutual understanding rather than to exclude one of the parties from dialogue only because they’re not impressed with their partner’s viewpoint. Regarding a possible response to the initiative of depriving the Russian PACE delegation of its right to vote, if it actually takes place, the answer to this question is in full competence of the Russian Federal Assembly delegation and of PACE. We are confident the delegation of our Parliament will manage to find the relevant arguments to persuade their partners not to go to such extent. However if this decision is made by the Assembly, I am sure the Federal Assembly delegation will find the right response to such an irrelevant initiative as we see it. On July 2-3, 2009 at the special session of the Board of Governors of the International Atomic Energy Agency (IAEA) the decision to appoint Yukiya Amano, full-time ambassador of Japan at international organizations in Vienna, to the position of IAEA Director General was taken by secret ballot. This decision is to be approved at IAEA General Conference in September. The new Director General is to take office December 1, 2009. We welcome the appointment of Y. Amano to this high position and we hope that his election to the position of Director General will ensure continuity in the management of the Agency and will contribute to the effective tasks fulfillment by IAEA. Y. Amano is known as an experienced professional in the field of nuclear non-proliferation and disarmament; we highly appreciate our long cooperation with him and hope for further fruitful cooperation. We respect the results of the election for the National Assembly of the Republic of Bulgaria last Sunday, July 5, as they express the will of the Bulgarian people. The voting was held in accordance with the legislation of the country. Bulgaria is our traditional partner in the Balkans. Russia is satisfied with the fact that, over recent years, the Russian-Bulgarian relationships have been characterized by the actual output, which is necessary for solving social-economic tasks that both states face. We hope that the new Bulgarian government will preserve the stable dynamics of the political dialogue and continue to work on practical implementation of joint projects, including those in the area of energy, proceeding from mutual benefits for all the parties involved. On Sunday, July 5, Mexico held elections for the House of Deputies of the General Congress, for municipal authorities and governors in six states were re-elected as well. The voting was calm and peaceful. A convincing victory was won by the centrist opposition Institutional Revolutionary party that got over 36% of the votes. The ruling right-centrist National Action Party considerably weakened its positions in the Lower House of the Parliament and got only 27% of the votes. Moreover, in the regions it won only in one state. The left opposition represented by the Party of the Democratic Revolution got only 12% of the votes. The results of these elections show the political preferences of Mexicans have shifted towards the centre. But the good thing is the main participants of the elections have already talked about the necessity of a constructive partnership among the leading political parties of the country. We assume that the new line-up of the House of Deputies of the General Congress of Mexico will, according to traditions that have developed over the recent years, promote a further build-up of the Russian-Mexican inter-Parliamentary connections, which play a significant role in strengthening friendly ties between our countries. On July 3, the judge (F. Alar) on family matters in the French city of Tarascon announced the verdict on the case of Irina Belenkaya and Jean-Michel Andre. The court defined the mediation procedure for social services in order to reconcile the parties involved and find a mutually acceptable decision for joint upbringing of the child. A professional staff member of social and psychological assistance has been appointed as a mediator. The mediation has been given 4 months with the possibility of it being extended by another 3 months. For the time of mediatory efforts, the court has established an outline for meetings between Irina Belenkaya and her daughter, who will live with her father: Irina has got the right to have three meetings with her child per month, which will take place on the premises of the Arshinelle social centre in Marseille. The court has decided to meet the wish of the mother in this case as she didn’t want the father to be present during those meetings. Moreover, Irina Belenkaya can speak with her daughter on the phone no less than twice a week. The verdict of the judge doesn’t limit the time of the meetings or phone conversations. The further outline for meetings and joint upbringing of the child by both parents will be defined by the court after reviewing the results of mediatory efforts and also depending on how the relationship between Irina Belenkaya and Jean-Michel Andre will generally evolve. As we see it, the verdict of the court is balanced enough and considerate, taking into account the current situation of an open conflict between the two parents and keeping in mind the child’s best interests. The decision of the court emphasizes the responsibility of both parents in Lisa’s upbringing. The Russian Foreign Ministry will continue to watch developments in the situation closely and assist Irina Belenkaya if needed. On June 28, 2009, the President of the Russian Federation signed a Federal Law on «Introducing corrections to articles 6 and 7 of the Federal Law on «Legal position of foreign citizens in the Russian Federation» and to article 14 of the Federal Law on «Citizenship of the Russian Federation». The amendments to the Federal Law on «Citizenship of the Russian Federation» pre-supposes a simplified procedure for receiving Russian citizenship by foreign citizens and stateless persons currently residing on the territory of the RF, who either have an under age child with Russian citizenship, or a child of the full legal age with Russian citizenship but recognized as incapable. This norm is to be applied, in particular, in cases when the other parent of such a child with Russian citizenship is either dead or established as untraceable, incapable or deprived of parental rights by a court decision. Since those corrections are introduced into part 2 of article 14 of the Federal Law on «Citizenship of the Russian Federation», the practical implementation of which is under an exclusive jurisdiction of the Russian Federal Migration Service; please contact the above mentioned authorities for additional explanations on how the new regulations of this law are enacted. Concerning prolonging the validity period of external passports from 5 to 10 years. In the course developing the legislation of the Federal Law on “Introducing corrections in the Federal Law «Concerning the Procedure for Exit from the Russian Federation and Entry into the Russian Federation» ÃƒÂ¢Ã¢â‚¬Å¾Ã¢â‚¬â€œ114-FL on 15.08.1996» The Foreign Ministry of the Russian Federation suggested to introduce the corresponding corrections in the above-mentioned law in the part concerning increasing the validity period for external passports from 5 to 10 years. We suppose that the positive decision of this issue lies in the best interests of Russian citizens and it will be an advantage to the state in many ways. First of all, this step would mean a significant ease of passport formalities for the Russian citizens who, in particular, will have to exchange corresponding documents less frequently. This is especially important for our compatriots, who live abroad on a constant basis and for whom their external passport is the main identifying document and the proof of their Russian citizenship. Moreover, it should be considered that the current validity period for Russian external passport (which is 5 years) can, in practice, get shorter, due to reasons beyond a passport-holder’s control. So, when embassies take in documents for visa, many of them require that the passport be valid for no less than 6 months since visa expiry date. Proceeding from all of the above and considering the experience of foreign countries, it was suggested to consider increasing the validity period of external passports from 5 to 10 years. Thank you for your attention. I'm ready to answer your questions. 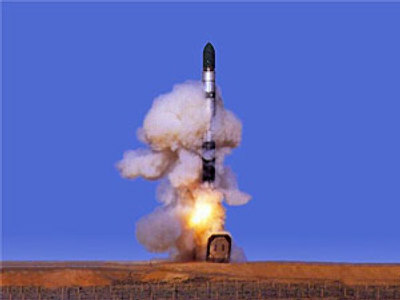 Q: According to the statement of Sergey Lavrov, the Russian Foreign Minister, we would like the new treaty to take into account the number of the US nuclear warheads, carriers and ICBM with non-nuclear warheads, as well as the issue of the third ABM site in Europe. Is it realistic to expect that all these problems will be solved by one single document? A: the Russian and the US presidents set the task to draw up a full-scale legally binding contract to substitute the START treaty, which should become a backbone of Russian-American relations in terms of strategy for the coming period. At the summit in Moscow Dmitry Medvedev and Barack Obama agreed the new treaty would set precise limits to the number of strategic carriers and the warheads linked to them and would include the provisions showing the connection between offensive and defensive armaments and the impact of ICBM and submarine-launched ballistic missiles in non-nuclear equipment on strategic stability. This has been stipulated in the Joint Understanding signed by the presidents July 6 of this year. We understand that this is a complicated task that will require great effort from both sides. Nonetheless, we are sure given the political will of the parties, it is realistic to meet the deadline and to draw up a mutually accepted document, which will strengthen international security and will manifest a new level of Russian-American relationship. Q: Could you comment on the resolution adopted by OSCE according to which the Stalin’s regime in the Soviet Union is equaled to the Nazi regime of Germany. At the same time the document stresses that both totalitarian regimes have seriously harmed Europe and that both regimes carried features of genocide and crime against mankind. 1. We believe this draft is a typical example of the practice of falsifying history which has been increasingly spreading in Eastern Europe. This political instrument has been actively used by the Baltic States, Ukraine and a number of other countries in order to form a politically uniform community of Eastern European and post-Soviet states on the basis of opposing the ‘neo-imperialist ambitions’ of Russia. The work of ‘correcting history’ serves the particular purposes of the ‘Young Democrats’ including manipulating public opinion and preparing the grounds for setting up moral, financial and property claims against Russia. The Balts and Ukrainians have been using attempts at rewriting history against the background of glorifying the Nazi criminals and their supporters. On one hand, they place the relevant monuments and hold public rallies with the purpose of praising the Nazi past, and on the other hand, they desecrate the monuments to fighters against Fascism. 2. Considering the initial unacceptability of the indicated draft resolution for us, we believe it would be rational to avoid getting involved in the process of amending it. We’ve based this on the assumption any substantial corrections made by us would mean an implicit agreement of the Russian delegation with the anti-Russian confrontational conception of this ‘document’. 3. In the absence of the opportunity to block this project on procedural grounds, we believe it would be possible to recommend the Russian delegation practice the right to speak provided by the Article 26 of the OSCE PA Rules of Procedure. - The practice elevated to a state policy associated with the free interpretation of the newest history events and with taking separate facts out of context and/or their distortion has not only become a much-demanded political instrument in the Eastern European states but it has also been receiving passive support in Western Europe as well. - Plans of some of our neighbouring states for rewriting history in the context of theory of equal responsibility of the ‘totalitarian regimes’ for unleashing the World War Two have been gaining clear features and specific manifestations. The Baltic States and Ukraine have been practicing rehabilitation and even heroization of numerous individuals who had been cooperating with Nazis during the World War Two. - The authorities of some western states, including those which had been occupied by Fascists during the war, under certain nuances take a rather passive standing regarding heroising of Nazi supporters as well as attempts of rewriting the history of World War Two undertaken by certain political forces in the countries of Central and Eastern Europe. - The Position of the Russian Federation on this issue which has been often expressed at the OSCE Permanent Council sessions and yearly Human Dimension Implementation Meetings remains unchanged. Glorification of Fascism and the imposing by certain countries of their own view on the events of the 20th century carry a real threat of undermining the political stability of the states and enable formation of new division lines in Europe and spread of metastases of intolerance and xenophobia within OSCE countries. - Support by the majority of the UN member states of the 63rd UN General Assembly Resolution ‘On Inadmissibility of Certain Practices Which Contribute to Fuelling Contemporary Forms of Racism, Racial Discrimination, Xenophobia and Related Intolerance’ has vividly shown condemnation of praising the Nazi movement and the former Waffen-SS organization members as well as public glorification of neo-Nazis. - In general, discussion of such ‘documents’ (the draft resolution suggested by Lithuania) from the Assembly has an obvious counterproductive effect from the viewpoint of developing a constructive cooperation in the human rights area of the member states of OSCE, the main purpose of which is to serve as a political forum for equitable dialogue on all the aspects of the European security. 4. In case the Russian delegation does make a decision on amending the draft resolution, we believe it would be relevant to ‘stuff’ the project with provisions that are knowingly unacceptable for the Baltic States (attached) in order to maximally obstruct its adoption. The Russian Embassy in the Federal Republic of Germany and the Consul General in Hamburg have been in contact with the administration of the German Leonhardt & Blumberg Company, the ship’s owner. The company has been updating us on the situation and on the condition of the captured Russian sailors. We’ve been forwarding this information to their families and relatives. According to the telephone conversation with the vessel, the state of all the crew members, including the three Russians, and their confinement conditions are generally satisfactory. The pirates seem to be interested only in ransom for the ship and the cargo, just as in all the similar situations in the past. Thus they are not intending to harm people. The ship owner finds it hard to forecast the possible time frame for the release of the ship and its crew. We’d like to note that Russia and Germany have been very close in their belief in the need for increasing the joint international efforts in fighting piracy, including the legislative provision for resolving the problem. Q: Xinhua News Agency. Not long ago, in Xinjiang Uyghur Autonomous Region, in the city of Urumqi, there were mass-scale riots. At least 156 people died and more than a thousand were injured. How does the Russian Federation view this event? A: We, certainly, followed closely the reports that came from the Xinjiang Uyghur Autonomous Region of the PRC. Our comments in connection with this are set out in the commentary provided by the Information and Press Department of Russia’s Ministry of Foreign Affairs, which was posted on this Ministry’s website yesterday. I can add to this that on July 7, that is, the day before yesterday, there was a telephone conversation, at the initiative of the Chinese side, between the Russian Federation Minister of Foreign Affairs Mr. Sergey Lavrov and his counterpart from China Mr. Yang Jiechi. The PRC Minister of Foreign Affairs shared information on the development of the situation in the city of Urumqi, the administrative center of the Xinjiang Uyghur Autonomous Region of the PRC. He informed Mr. Lavrov how the situation was being viewed at the present time. Regrettably, there had been riots over there that involved the loss of human life. Sergey Lavrov, in his turn, expressed his condolences to the families of the victims and to all those who had suffered from the actions undertaken by the instigators of the clashes. The head of the Russia foreign policy agency stressed that the Russian side viewed Xinjiang as an inalienable part of China and the developments there as a strictly internal affair of the PRC. A hope was voiced that the actions being undertaken by the Chinese authorities within the framework of the law would soon make it possible to normalize the situation in that region. I would limit my reply to this. Q: TV Company Imedi, Georgia. As is common knowledge, during the American president’s visit to Moscow, Washington and Moscow failed to coordinate certain issues, including differences over Georgia. Will, in your view, these issues be discussed by the specialized commission that will be headed by Mrs. Hillary Clinton and Mr. Lavrov, given the fact that the US President spoke several times in Moscow about the inviolability of Georgia’s borders, and also urged Russia to respect the territorial integrity and sovereignty of Georgia. In addition, the Minister of Foreign Affairs of Armenia made a statement to the effect that Armenia demanded that some international OSCE observers should be sent to the Karabakh conflict zone. Will or will not the Russian side support this initiative? A: My reply to the first question is this: we never said that there was a complete identity of points of view and positions between the United States and the Russian Federation. Of course, there are issues on which we hold points of view of our own and they are not the same, but we came to terms with our US partners that we would, as it formerly had been, discuss these problems in a calm and mutually respectful manner, and we would compare our positions and possibly work to have a situation where, at a certain stage, they would be close from the point of view of their nature. We are discussing the Transcaucasian theme with our American colleagues at different levels. This is why, prospectively, we will continue this dialogue. It has never stopped. Each side has a position of its own, and this position certainly has the right to exist. It is another matter what facts we handle and what conclusions we come to. This is why I proceed from the assumption that in the prospective work with the Americans all these issues will find a place on the agenda. As far as the second question is concerned, I find it difficult to comment on what the official representative of the Armenian side said, but, as you know, we are a member of the Minsk Group and we are discussing with our colleagues from that Group all aspects of the Nagorno-Karabakh settlement. This is why, I think that, if there is such a suggestion, it will certainly be discussed within the format I mentioned, and appropriate statements will be made as a result. Q: My question is to specify the following. As is common knowledge, the Presidents of Russia and the United States came to terms on continuing START negotiations. When will the first round of START-related expert consultations begin? A: I know that this will happen shortly, but at this point I cannot give you any concrete dates. I am in contact with our negotiators. As soon as those dates do appear, I’ll make sure to inform you. Thank you for your time.